This is a custom eco friendly modern Japanese style bamboo table lamp that adds a gorgeous relaxing glow to any room. 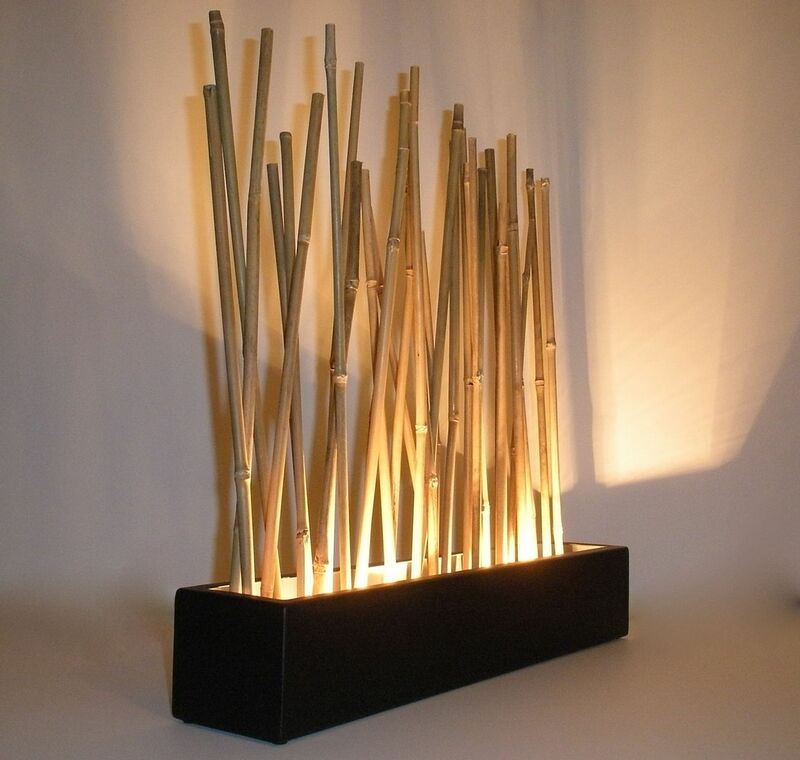 This tabletop lamp is illuminated with warm dimming LED lighting that is controlled by a state of the art touch pad dimmer / on-off switch on the power cord and it is constructed of sturdy mild steel and real bamboo. This lamp is the ultimate "Eco Friendly" choice for accent lighting because operates at extremely low wattage (1.5 watts) with absolutely no heat output, making it safe to leave on as a night light or while away from home. This lamp is available as a custom order in any size and also as wall mounting sconce. Dimensions: 20" wide, 20" tall, 3.5" deep.